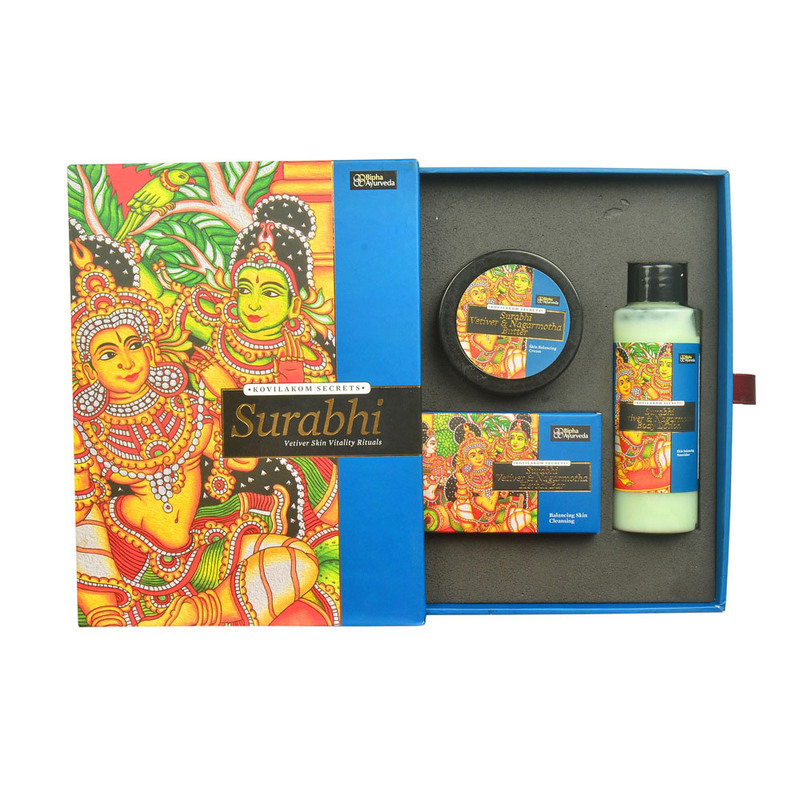 Surabhi Vetiver & Nagarmotha Face cleanser :- A natural, refreshing daily face wash that gently removes your daily grime. Blended with plant butter and essential oils of vetiver, aloe vera and nut grass; it soothes, hydrates and nourishes the skin. INGREDIENTS:- Vetiveria zizanoides oil, Cyperus rotundus oil, Aloe barbadensis juice, Aqua. Surabhi Vetiver & Nagarmotha cream :- Infused with an emollient blend of nutgrass and vetiver processed in extra-virgin oils of coconut and jojoba, this hydrates and mattifies the skin, leaving it clear and fresh. INGREDIENTS:-Pure essential oils of Vetiveria zizanoides and Cyperus rotundus, Jojoba oil, Citric Acid, Hydrogenated Castor Oil, Aqua, Glyceryl Mono Stearate, Virgin Coconut Oil, Emulsifying Wax, Glycerine.